Sit down on a machine. Rest your shoulders against the provided pads. 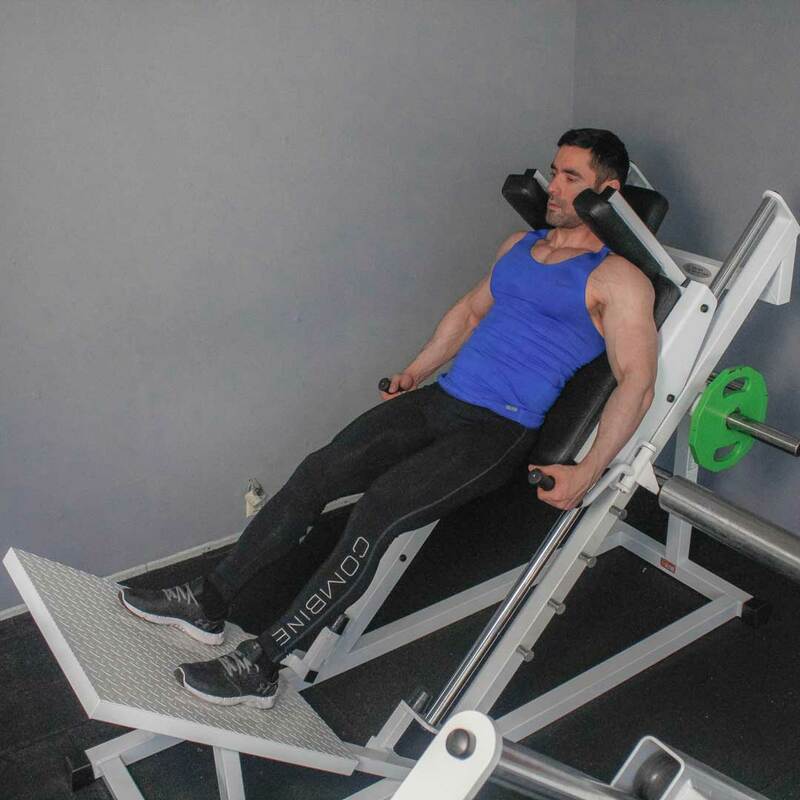 Press your back to the bench. Place your feet on the platform shoulder-width apart. Toes are slightly pointed out. Keep your head up and maintain the back on the pad throughout the entire exercise. Grasp the handles and disengage safety bars. Straighten your legs. This will be your starting position. Begin to slowly lower in the machine by bending the knees. Keep your head up. Continue moving down until the angle between the thighs and the calves becomes slightly less than 90-degrees. If you perform the exercise correctly, the knees should make an imaginary straight line with the toes that is perpendicular to the torso line. 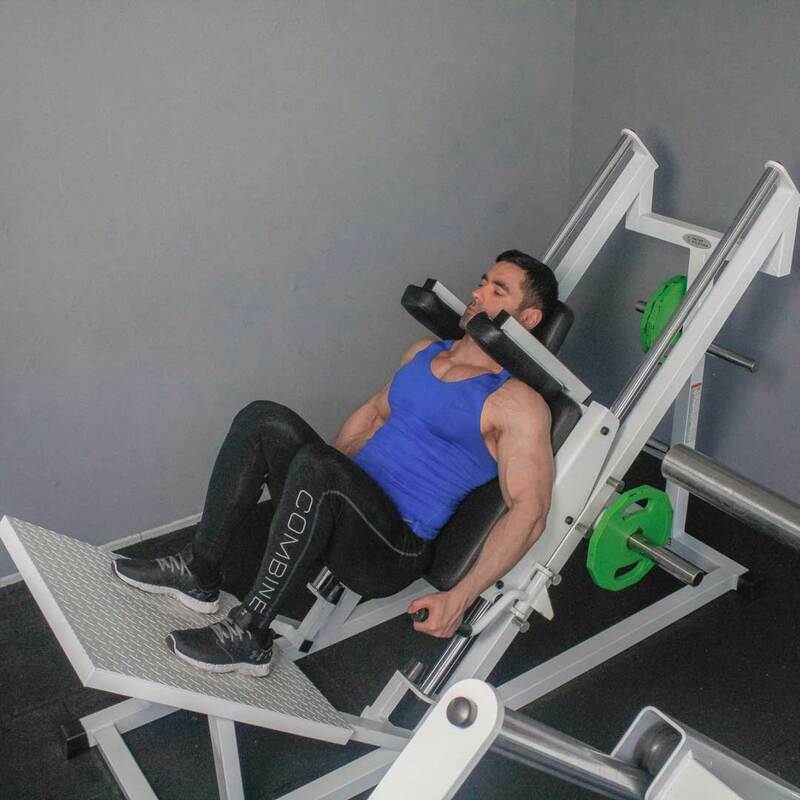 Exhaling, raise your torso as you straighten the legs again by pushing off the platform and go back to the starting position.